I am very passionate about everything that I do. I have known that I wanted to be an interior designer since I was in the 6th grade. Finding the perfect product for a client and making their homes functional as well as beautiful is the driving factor in my work. I look forward to helping customers remotely from Madison, WI. The true purpose of design for a client is to transform their personality into a design that suits them. I love design because each design is unique to the client and their space. There are not two people who are the same and design always reflects that individuality. I believe deeply in reuse and repurpose and have confidence that anything can be charming and functional again. I am a very outgoing person and I love to get to know people on a deeper level. I have a Bachelor of Science in Interior Design from Harding University in Searcy, Arkansas. I also have a Master of Business Administration from Bryan College in Chattanooga, Tennessee. 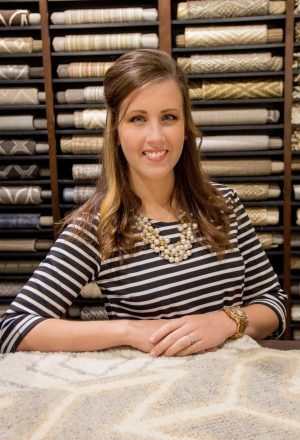 Meg is currently working in the Madison and Milwaukee areas on both residential and commercial design projects. I am a very outgoing person and I love to get to know people on a deeper level. I enjoy working in design because I get to relate to my clients on a more personal basis. I also enjoy simple and abstract painting, traveling to interesting and fun places and going to the beach.